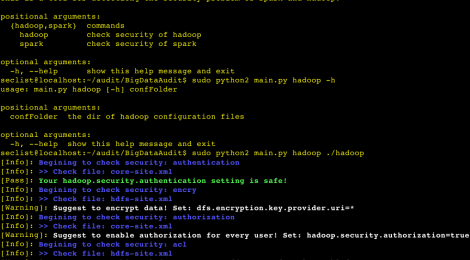 Browse: Home / BigDataAudit – vulnerability detector for Hadoop and Spark. 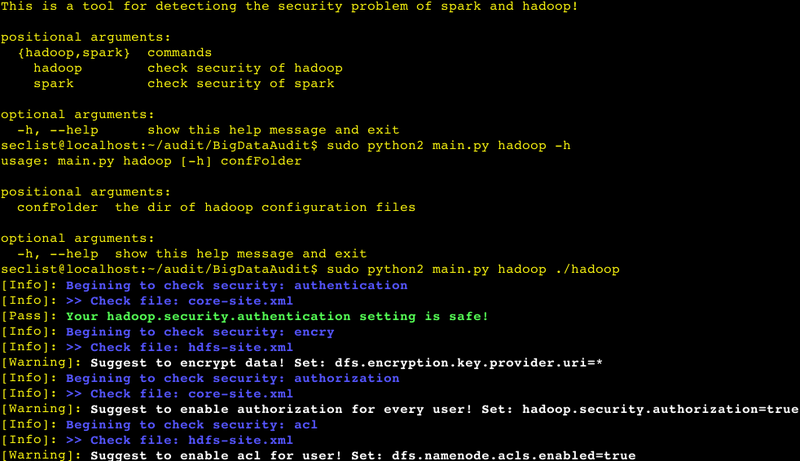 BigDataAudit is a tool for detectiong the security problem of hadoop and spark configuration and encryption file. + hadoop detection similar to the same configuration file folder path specified, the difference is, spark default configuration file only a spark-defaults.conf, do not change the name to copy to a specific directory. 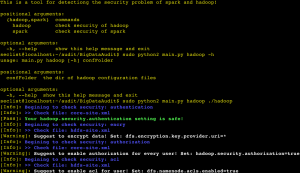 + hadoop detection similar to the provision of a need to detect the configuration needs, in the root directory of the spark folder, name is security.ini, the section name of the file is to detect the configuration item to enter what the problem, key-value to spaces . The default configuration lists the necessary security configuration items. + Json core-site and other fields, is to detect the file name, the next level is to detect the configuration item, its parent, like encry means to detect the security of encryption. ← Net Zapper is a vulnerability assessment and password cracking tool.